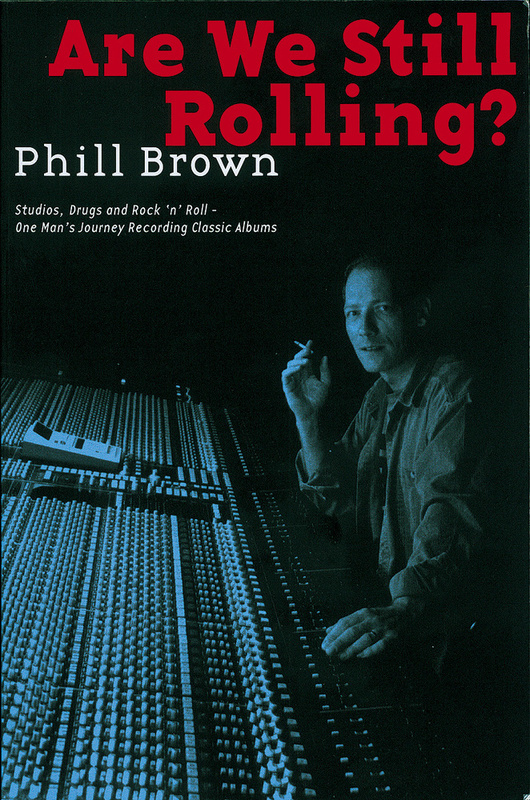 The subtitle to this Phill Brown autobiography, Studios, Drugs & Rock 'n' Roll — One Man's Journey Recording Classic Albums, gives you a pretty strong clue as to the content you're going to encounter when you flick through the pages of this book. Who is Phill Brown? That question pretty much requires the whole book to provide the answer. Brown traces his career from when he first got started in the music-production industry at Olympic Studios in London, where he worked as tape-op on some classic sessions, including Jimi Hendrix's 'All Along The Watchtower' and the Rolling Stones' Beggars Banquet. He was involved in the recording of many more well‑known bands and tracks from the late '60s and early '70s (not least Bob Marley's 'I Shot The Sheriff', as documented in our Classic Tracks feature in SOS March 2006), through the next few decades, including engineering and production for the likes of Traffic, Talk Talk and Throwing Muses, and, more recently, artists such as Dido and Bombay Bicycle Club. 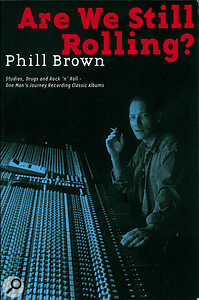 During this career, Brown worked with several legendary producers, including the likes of Glyn Johns, Shel Talmy and Eddie Kramer. The man has an impressive CV, then — but it's not simply a case of name dropping, because there's plenty for the would‑be producer or recording engineer to learn from Brown's recollections. Refreshingly (for me at least), the book is presented in a diary‑like format, taking one band after another in chronological order. The reportorial style gives a distinct sense of being a 'fly on the wall', and an interesting insight into what many of the aforementioned producers, artists and managers were like to work with. If it's opinion you want, there's plenty. Brown has pretty much said what he thought about the characters he encountered over the years, and what he feels about them now, on reflection. There are no character assassinations, but neither does he put many people on a pedestal. The chapter on the recordings with Kristin Hersh, both as a solo artist (happy memories) and as part of Throwing Muses (rather less so) is a case in point. For the reader hoping to glean insights into the technical process of record production — whether specific to the recordings recounted in this book, or more generally — there's a generous smattering of useful information. Brown has gone to great pains to spell out in simple terms the gear with which he worked, and the technical restrictions of the time (limited track counts on desks and tape machines, for example). He also recounts his choice of mics for different applications and how those choices changed over time. There are even a few sketched diagrams of session layouts, showing which musicians and instruments were placed where in the live room, and how they achieved any separation that was required. While obviously trying to entertain, I got the feeling that Brown's aim was to be candid, and to get his experiences down on paper. For instance, the frequent passages about drug use — which culminated in some severe health problems for Brown, and the imprisonment or death of several of the characters described in the book — do not glamourise drug‑taking. He doesn't deny that drugs were fun, but he gives the sense of an industry where many people were not only taking them recreationally, but also using them as a means of seeing themselves through the unbelievably long hours put into recording sessions, for weeks on end.